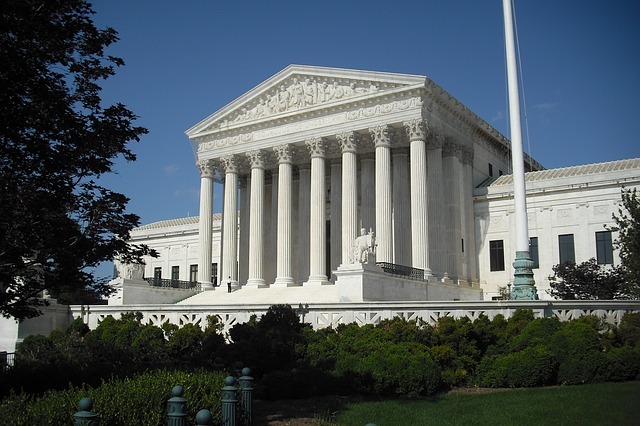 In an unexpected move, the United States Supreme Court reversed a conviction based upon a case of blatant prosecutorial misconduct. Michigan Criminal Defense Attorneys frequently encounter police officers falsifying evidence and prosecutor’s “forgetting” to provide notice of evidence. In a rare move, the Supreme Court granted a habeas petition and reversed a conviction in the case of Smith v. Cain, No. 10-8145. The lone eyewitness at trial testified that he was at a friends house when the defendant and two other gunman came in and demanded money at gunpoint. In Michigan courts, this would be home invasion, attempted murder and assault with the intent to rob while armed. The witness testified that the defendant was the first gunman to come through the door and that, for a moment, he had been face-to-face him. As it turn’s out, there was a police report wherein the “eyewitness” admitted that he didn’t see the gunmen’s faces and wouldn’t know them if he saw them. The police and prosecution failed to provide this exculpatory evidence to the defendant or his experienced Michigan criminal defense trial lawyer. The Supreme Court found that this evidence created a reasonable probability of a different outcome at trial and reversed the conviction based upon Brady v. Maryland and Kyles v. Whitley. Search and seizure law, constitutional law and the various laws dealing with suppression and dismissal for constitutional violations is highly complex and only the most skillful, experienced and talented criminal defense lawyer will have a handle on the intricacies of this area of law and know how to use the United States and Michigan Constitutions to protect their clients. Suppression and constitutional lawyers, Randy M. Lewis and Loren M. Dickstein, with LEWIS & DICKSTEIN, P.L.L.C., have spent countless hours over the course of almost 40 collective years of criminal defense work, to develop extraordinary proficiency and competence in defending criminal cases based upon constitutional protections. If you are accused of committing a criminal offense or you are charged with a crime and you believe your constitutional rights may have been violated, please do not hesitate to call LEWIS & DICKSTEIN, P.L.L.C. for a free consultation at (248) 263-6800 or complete a Request for Assistance Form and a highly experienced criminal defense lawyer will promptly contact you. LEWIS & DICKSTEIN, P.L.L.C. regularly appears in courts throughout Michigan, including but not limited to: Oakland County, Macomb County, Wayne County, Washtenaw County and Livingston County.